#EnriquePitbullTour: Pitbull & Enrique Iglesias Perform in Sacramento! 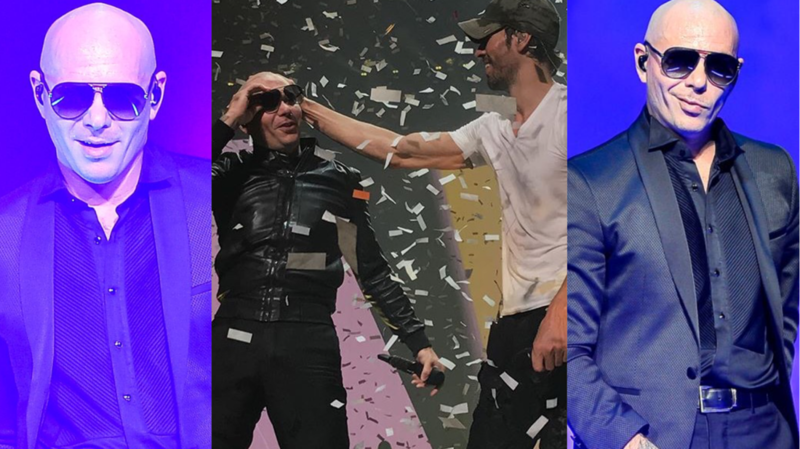 Pitbull and Enrique Iglesias brought their co-headlining tour to Sacramento, CA last night as they performed to yet another sold-out crowd of over 19,000 fans at the Golden 1 Center. Pitbull hit the stage to perform an hour-long medley of his biggest hits such as, “Bailar“, “I Know You Want Me“, and “Time of our Lives“. He later joined Iglesias back onstage to end the night with their collaboration, “I Like It“. Previous Previous post: #EnriquePitbullTour: Pitbull & Enrique Iglesias Bring the Party to Denver, CO! Pitbull Updates – A Pitbull Fan Website #EnriquePitbullTour: Pitbull & Enrique Iglesias Perform in Sacramento!